My apologies for a late entry. Yesterday was a bit of a busy day with errands to run, trying nap before a night shift and having to leave early for said shift because of poor weather, which turned out to be not so poor after all. 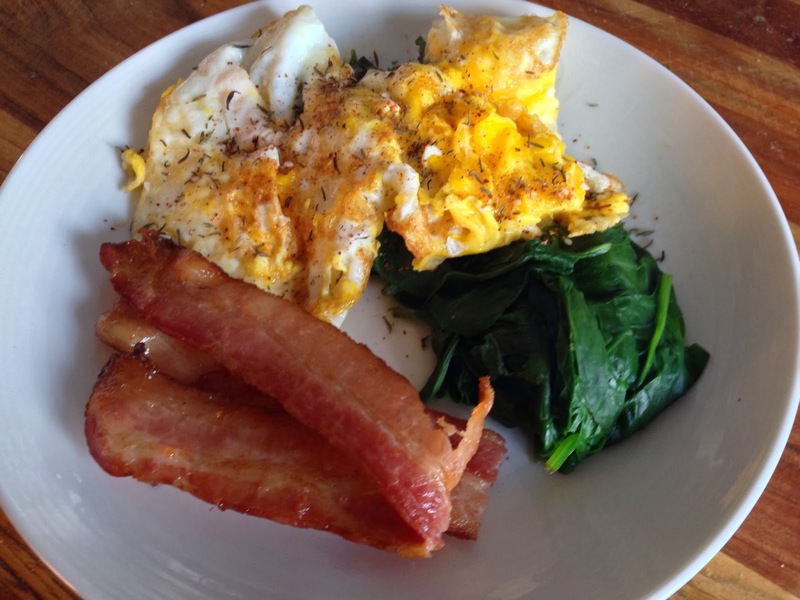 Breakfast was bacon cooked in the oven, spinach and two eggs dusted with zatar. I think zatar is easily becoming my favourite spice blend. 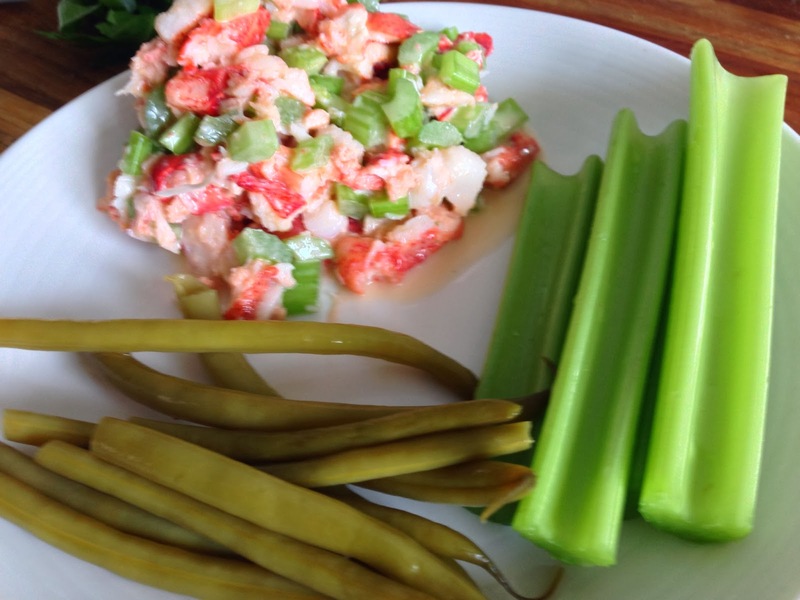 I've really been wanting lobster lately; it's one of those things from Nova Scotia that I truly miss a lot sometimes (and I refused to eat it when I lived there for whatever reason), so we picked up a can of frozen lobster meat from Costco and I made a quick lobster salad that was very similar to deli style tuna salad. I had some celery and pickled green beans on the side and it was the perfect light lunch before I napped for a couple of hours before work. 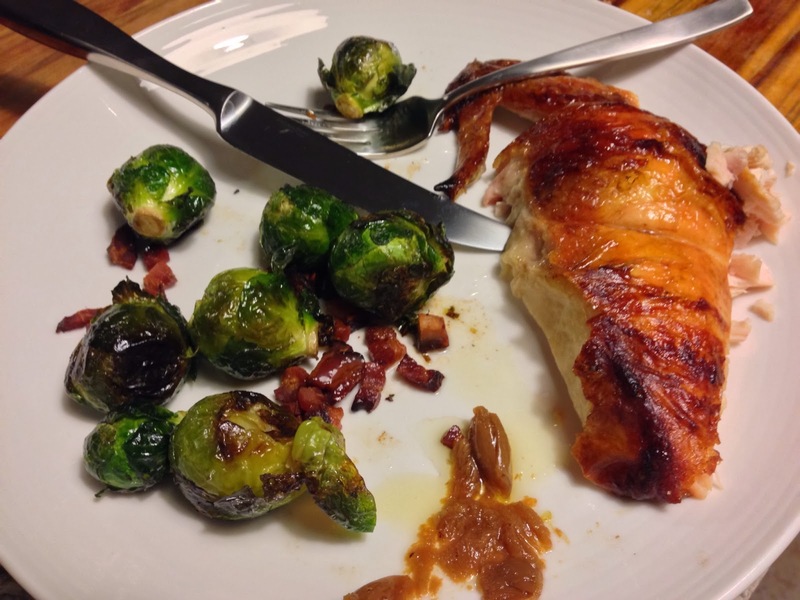 And for dinner we had a roasted chicken with roasted Brussels sprouts with roasted garlic on the side. And then I was off to work for the night. At around 11:30pm I had a small snack of almonds and celery to help sustain me for a couple of hours. I placed an order for Primal Pacs recently and I'm dying to receive them. I think they'll be the perfect emergency protein to keep in my locker!